The United Methodist Church (UMC) has been working for two decades to come to terms with a horrific chapter in its history: Its connection to the 1864 Sand Creek Massacre, led by Methodist Pastor and military leader John Chivington. The Sand Creek Massacre is but one of many atrocities committed against Native American people by the U.S. government and settlers; Minnesota has its own history of atrocities. The UMC is trying to chart a path of repentance and healing, one that other religious communities could learn from and apply to their own communities. Reminder: The state committee reviewing art in the State Capitol is holding a public input meeting Tuesday, Dec. 1, at Hamline University’s Anderson Center from 6-8 p.m., rooms 304-305. The Anderson Center is at the corner of Snelling Ave. N. and Englewood Ave. in St. Paul. Healing Minnesota Stories has a petition outlining our concerns about some of the art in the Capitol. Please consider signing. The state Art Subcommittee website has additional information on the review process. Please attend the Public Input meeting if you can and make your voice heard! On November 29, 1864, a 700-man force of the Colorado Territory militia attacked a peaceful village of Cheyenne and Arapaho, “killing and mutilating an estimated 70–163 Native Americans, about two-thirds of whom were women and children,” according to Wikipedia. It is referred to as the Sand Creek Massacre. John Chivington, a Methodist pastor and a Colonel in the U.S. Volunteers, led the attack. 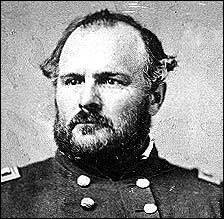 Chivington and his troops took scalps and body parts as trophies. Investigations of the massacre condemned Chivington’s conduct but he never faced criminal charges. [Chivington] deliberately planned and executed a foul and dastardly massacre which would have disgraced the veriest savage among those who were the victims of his cruelty. Having full knowledge of their friendly character, having himself been instrumental to some extent in placing them in their position of fancied security, he took advantage of their in-apprehension and defenceless condition to gratify the worst passions that ever cursed the heart of man. Methodists sought to repent of the attack in 2014, on the 150th anniversary of the massacre. That same year, the Governor of Colorado apologized for the massacre. On this day in history, October 7, 1763, King George III of Great Britain issued a Royal Proclamation giving the Crown a monopoly on all future land purchases from American Indians. According to Wikipedia, the proclamation followed the end of the French and Indian War, which concluded with the signing of the Treaty of Paris. (The end of the war was a blow to Native Americans, who had sided with the French.) Under the Treaty of Paris, France ceded to Great Britain the lands it had claimed east of the Mississippi. The proclamation created a boundary line (often called the proclamation line) between the British colonies on the Atlantic coast and American Indian lands (called the Indian Reserve) west of the Appalachian Mountains. The proclamation line was not intended to be a permanent boundary between white and Aboriginal lands, but rather a temporary boundary which could be extended further west in an orderly, lawful manner. [The Proclamation of 1763] asserted that all of the Indian peoples were thereafter under the protection of the King. It required that all lands within the “Indian territory” occupied by Englishmen were to be abandoned. It included a list of prohibited activities, provided for enforcement of the new laws, and indicted unnamed persons for fraudulent practices in acquiring lands from the Indians in times past. Click on the links above for more history. For more than a century and a half, the Sand Creek Massacre has been at the center of struggles over history and memory in the American West: from the government investigations launched in the massacre’s immediate aftermath; to the work of so-called Indian reformers, including Helen Hunt Jackson, writing late in the nineteenth century; to memorials erected in Colorado at the turn of the twentieth century and during the era of the Cold War; to the impact of popular histories, like Dee Brown’s Bury My Heart at Wounded Knee; to the recently opened Sand Creek Massacre National Historic Site. Ari Kelman … will discuss the meaning and impact of the longstanding fight to shape and control memories of Sand Creek. As winter is approaching, help NACC give the gift of warmth to someone in need by donating gently used, good conditioned coats and winter gear. Times: Monday-Friday 9 a.m.-5 p.m.